You’ve picked the tile of your dreams…but you have some options when it comes to installing it. The tile itself is just one piece (pun intended) of a finished tiled surface like a kitchen backsplash or shower. We work hard to ensure that our clients can envision what their finished tile installation will look like before ever raising a hammer. Some people have a natural ability to envision how their tile will look. The rest of us require a little additional assistance in the visualization. 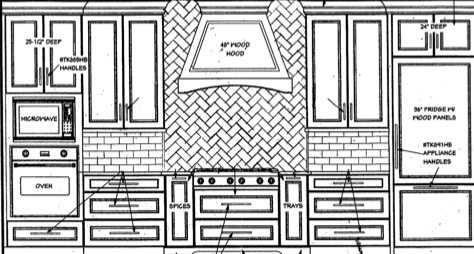 We often will hand draw tile layouts for our home owner’s remodeling project so they can see the tile to scale in their space. It also helps us present creative options for how the tile can be installed to accent particular aspects of the room. An interesting tile pattern can transform and elevate your space. By drawing tile layouts, our home owners are not surprised when they see the installation and it also helps our tile setters properly bring our tile vision to life. Here is an example of one tile in three different installation patterns. 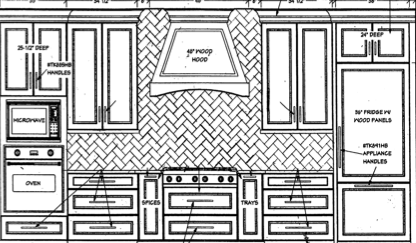 These drawings helped our homeowner easily make an informed decision on how she’d like her kitchen back splash to look. 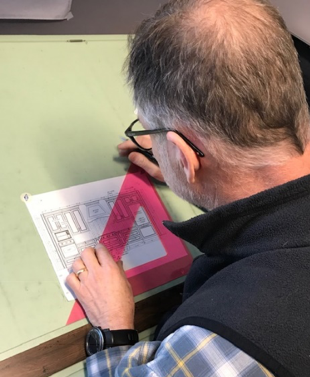 We believe spending extra effort in design before finalizing a construction contract or raising a hammer allows us to best serve our clients and provides a unique, collaborative experience. 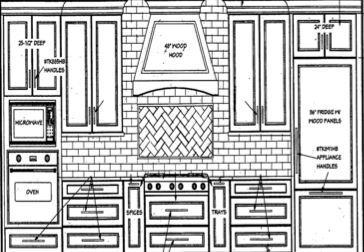 Let us know which one you’d like to see in your kitchen remodel! Love where you live!